Solar panels are similar to the windows in your car, home or business. They get dirty from rain, dust, pollen, soot, smog, auto emissions, chimney ashes, bird droppings, leaves and other environmental debris. This dirt and debris blocks sunlight from being absorbed into the panels, decreasing their efficiency. 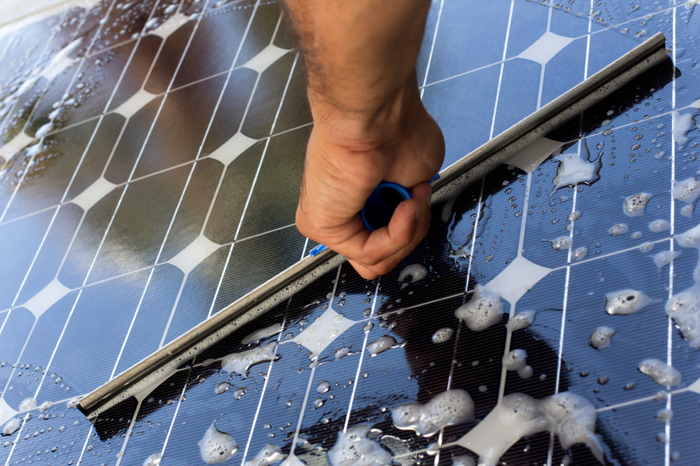 The result is less energy for use in your business or for sale to your utility company.Studies estimate that solar panel performance can increase by 25-30% when cleaned on a regular basis (at least 1-2 times per year).A-1 The Clear Choice will leave your solar panels spotless and functioning at peak performance.